If you have difficulty receiving from others, this will affect your ability to give. And if you have difficulty giving, then this affects your receiving. The fair exchange balance is a delicate system – and the way you relate to it is no less important. The universe remains in perfect balance, meaning that giving and receiving, the two sides of the fair exchange equation, are synchronous and balanced, even though they are not initially and outwardly apparent to most people. The universe conserves its creations and destructions, its giving out through white stars and taking in through black holes. Any time that you imagine yourself giving something for nothing or getting something for nothing, you lower your perceived self-worth. It’s your self-worth that determines your self-wealth or what you will allow yourself to be, to do, and to have in life. Your heavenly self-worth is directly proportionate to how well you can equalise and maximise your giving and receiving. The terms “giving” and “receiving: can be expanded into “giving service of value to others” and “receiving rewards of equal value to yourself”. When you give service, it’s certainly wiser and more fulfilling to give the service you love and love the service you give. Likewise, when you receive rewards, it’s wiser and more fulfilling to receive the reward you love and love the reward you receive. It’s wise to determine the form of fair compensation you receive for any loving service that you give. If you provide a service to someone without predetermining a fair reward, you potentially diminish your self-worth and ultimately the self-worth of those you serve. Clearly defining what you would like in return for your service frees others from having to guess what their payment form can be. Not doing so lowers the value of the service you provide them, because they feel uncertain, out of exchange, obligated, or undeserving. Generally, people tend to place more value on the things they pay for. Payment does not necessarily have to be limited to currency, but payment does signify some designated form of exchange that fulfils an equal value in your life. 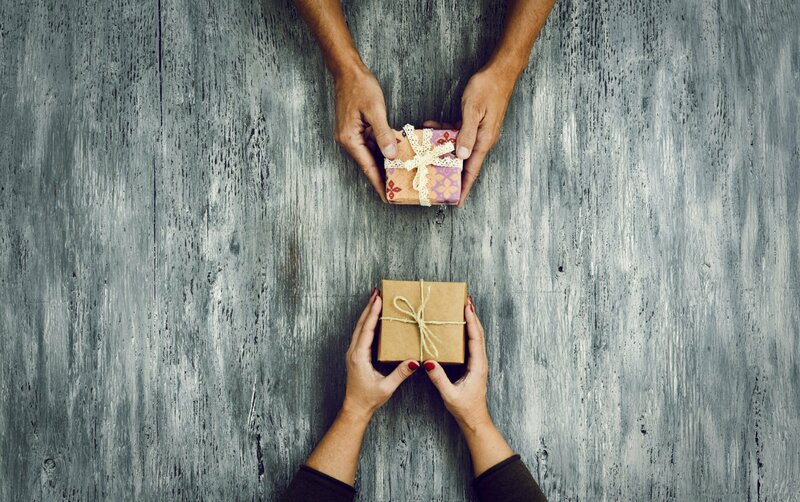 It could be money, appreciation, relationship, prestige, or any other means of compensation, but it is vital to designate what you would love to receive for what you would love to give, to designate your inward value for your outward service. Although these two sides of exchange are ultimately balanced, they are waiting for you to clearly determine their specific form. The moment you do determine that form, you will be freed of past and future entanglements and uncertainties, and will enter into a heavenly and grateful state of order and true presence. In this state of presence, you will inspire others to do the same for themselves. By practicing fair exchange, you express fair and equitable blessings for all. Dr John Demartini is a human behavior specialist, educator, international best-selling author and founder of the Demartini Institute. Visit Dr Demartini’s website for more information. Anyone with a dog (or a child or partner for that matter), has probably learnt the value of good old operant conditioning: Reward desired behavior and it increases. Punish undesirable behavior and it decreases. But there seems to be a lot more to this rewards-based system of behavior change pioneered in rats by US psychologist B. Skinner: The allure of reward could hold the key to sustainable positive change – and it could work for you. Click here to find out why rewarding yourself may be the positive change you need. Dr John Demartini is founder of the Demartini Institute, a human behaviour specialist, author, educator, health professional and business consultant. Learn more at www.drdemartini.com.